Complete Trapezoid Baseball Batting Cage. Freestanding backyard baseball cage with #42 weight netting and galvanized 32mm steel poles. 35ft, 55ft and 70ft lengths available. 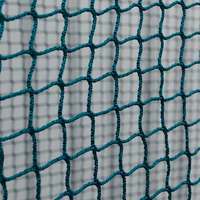 Choice of internal or external netting. 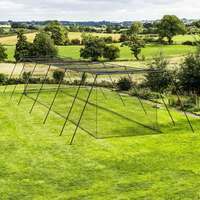 The unique design of this superb baseball batting cage means it is freestanding and hangs netting internally, preventing ricochets that can cause injury. The powder coated steel tube frame not only provides firm stability but also prevents rust, so your investment lasts long-term. 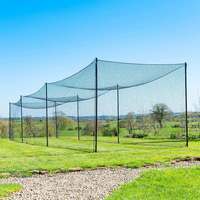 Your Trapezoid Baseball Batting Cage comes equipped with #42 grade netting, capable of withstanding the most powerful shots again and again. 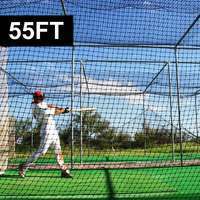 For the best baseball practice you've ever experienced right on your doorstep, look no further than the FORTRESS Trapezoid Baseball Batting Cage. 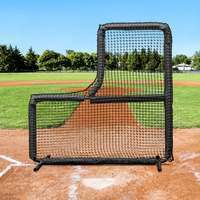 Its heavy-duty frame and net can withstand the most fearsome of pitches and the biggest home run hit balls, so that you can swing for the fences every time. 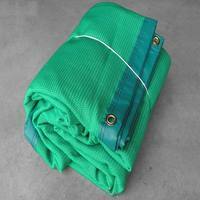 Available in three lengths: 35ft, 55ft and 70ft. Ideal for those with limited backyard space. 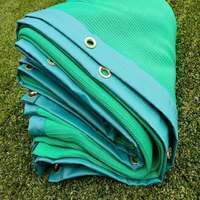 The unique design means it can be used on grass or concrete also meaning it can be set up indoors or outdoors extremely easily. 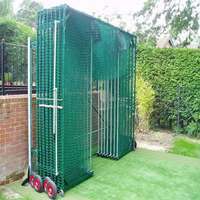 The choice of 3 cage lengths means this cage suits any age, any space and any budget. 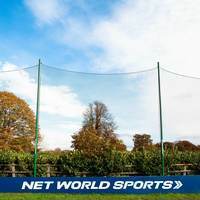 The highly durable, high-density netting used on all FORTRESS Trapezoid batting cages are resistant to stretching, intense direct sunlight and are 100% rot proof. 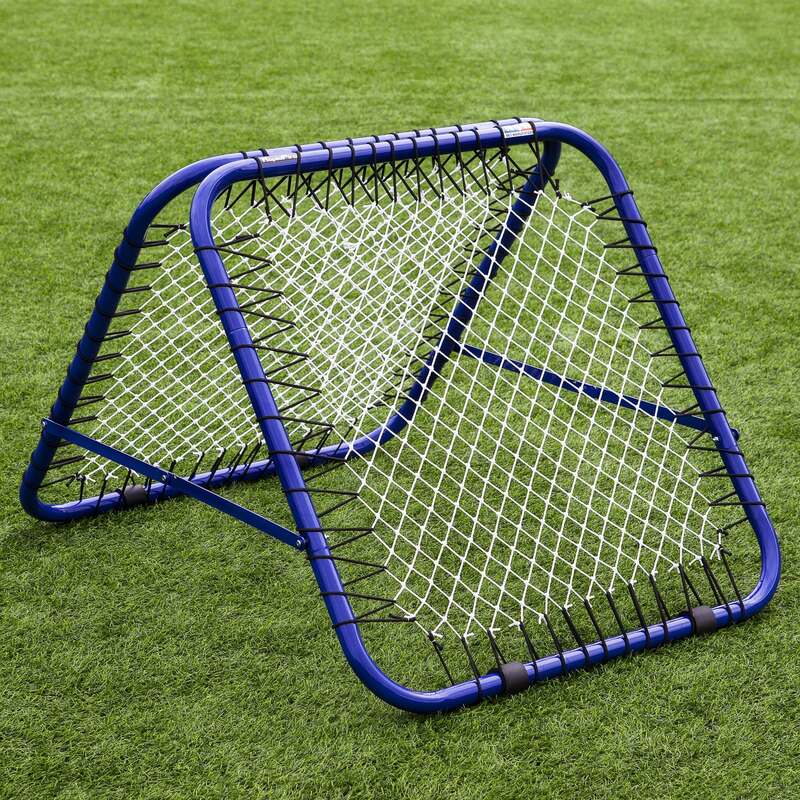 The attention to detail paid in the design and manufacturing processes mean that this baseball batting cage will last for years in your backyard or baseball field, so you can perfect your hitting technique and multiple your batting average. FORTRESS stock everything you need to evolve your game from bush league beginner to Major League master. 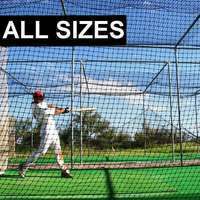 Kit out your Trapezoid baseball batting cage into a haven for any baseball fanatic, with L-screens, pitching machines and hitting tees. Four-way galvanized steel corner connectors and three-way end connectors included, both 1 1/2in diameter. Product was delivered quickly. Set up was fairly easy although plan to have a few people help. Does this 'complete package' include an L-Screen or Batting Cage Net? 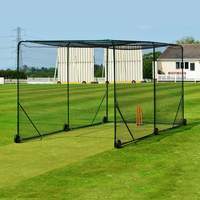 Thanks for your questions, the complete package gives you the netting posts and connectors, you would have to add the l-screen to this order. If you would like any pricing on this, please email sales@networldsports.com who will be happy to assist you. 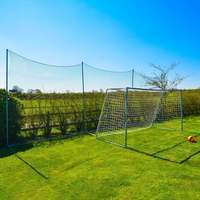 Is there a way to stake or secure the cage to the grass in case of high winds? Thanks for getting in touch, we always recommend taking down the cages in high winds. 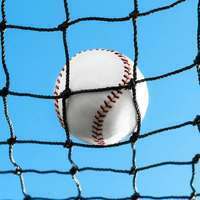 You can easily drop the netting form the system and lower the poles. This helps the longevity of the product.